Earl Creps has been a pastor, ministries consultant, and university professor. Along the way, Creps earned a Ph.D. in communication at Northwestern University and a doctor of ministry degree in leadershipat AGTS. He is the author of Off-Road Disciplines from Jossey-Bass. Introduction: It Takes a Child to Raise a Village. Chapter 1 Identity: “I Am Not Cool”. Chapter 2 Culture: “I Don’t Get It”. Chapter 3 Ministry: “I Am Not Relevant”. Chapter 4 Vision: Seeing Beyond Ourselves. Chapter 5 Wisdom: Knowing Beyond Our Information. Chapter 6 Relationship: Befriending Beyond Our Peers. Chapter 7 Evangelism: Learning from Outsiders. Chapter 8 Communication: Learning from Listeners. Chapter 9 Leadership: Learning from Followers. 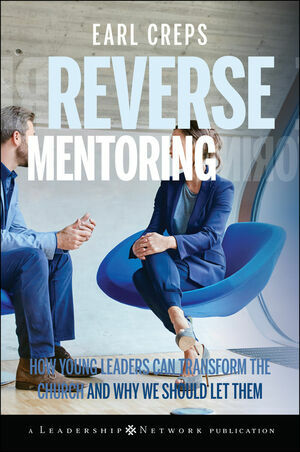 Chapter 10 Protégés: Developing R-Mentoring Relationships. Chapter 11 Processes: Embedding R-Mentoring in Organizations. Chapter 12 Interview: Joel and Rachel Mentor Earl and Janet. Epilogue I Was So Much Older Then; I’m Younger Than That Now.